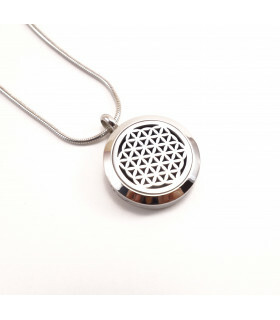 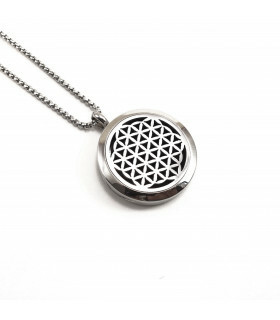 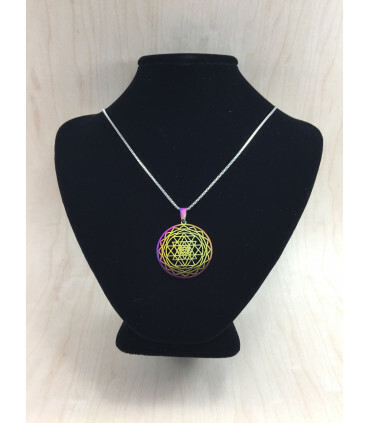 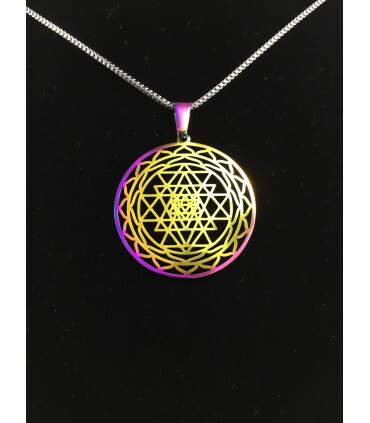 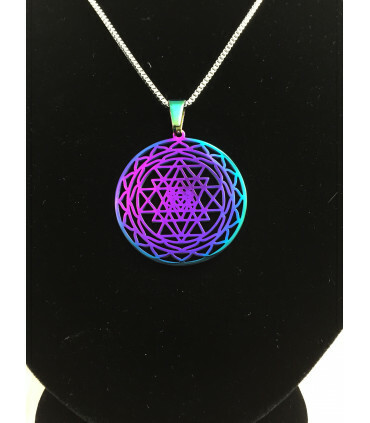 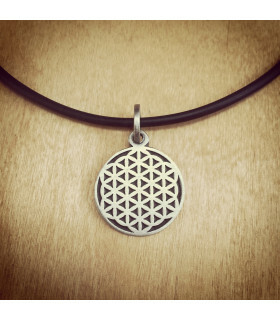 Beautiful Sri Yantra Stainless Steel pendant with rainbow plating on stainless steel box chain. 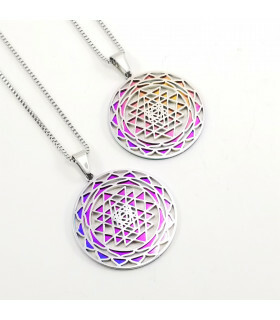 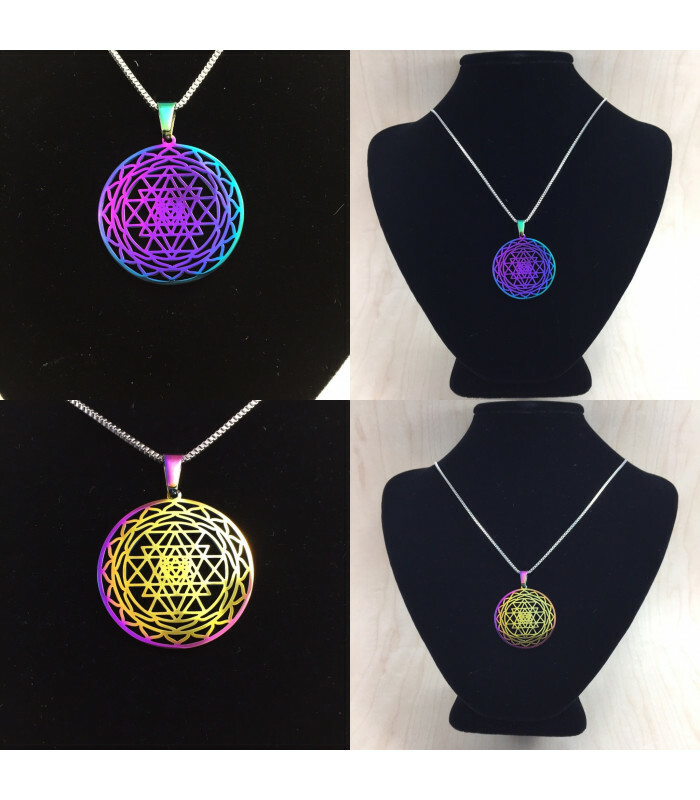 Each pendant features a unique striking rainbow plating which is different on each side, allowing you to wear it two different ways. 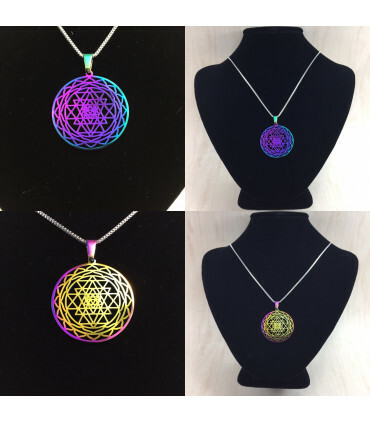 The photo shows a difference in color for both sides with shades of blue, purple and green as well as orange, pink, and yellow. 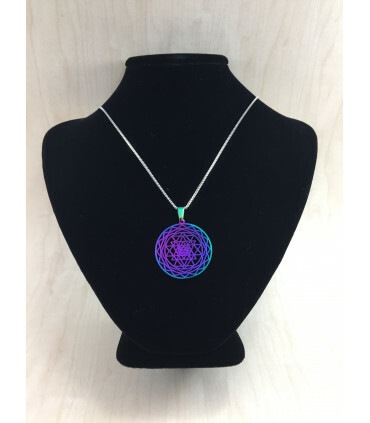 The colors have a very eye-catching look as you view from different angles. 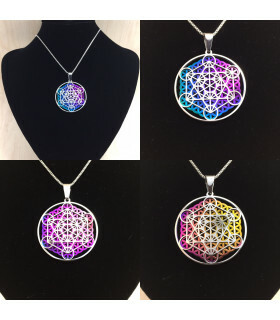 One pendant with chain is included. 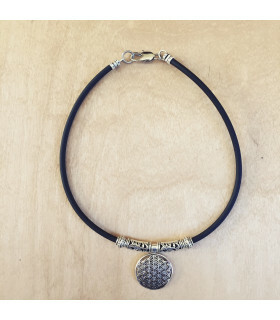 The box chain is 20 inches long and has a lobster clasp. 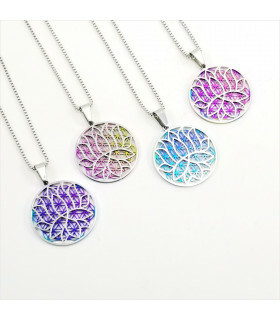 Photo is representative of the actual design, however the exact coloring may vary since no 2 pieces are exactly the same.